Larisa is a Psychology major, Spanish minor from Lewisburg Pennsylvania. 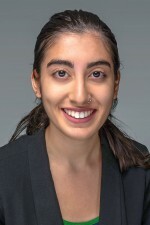 In addition to serving on the Honors board she is a Senator in WCSA. She is also a RA in Smith Hall and a volunteer for Big Brothers Big Sisters. She’s looking forward to working as a camp counselor this upcoming summer and going abroad to Costa Rica next fall. 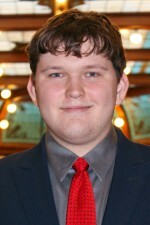 Thomas is a Senior at Ohio Wesleyan University majoring in Politics and Government, International Studies, German, studies, as well as minoring in European history. 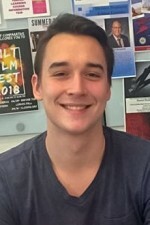 In addition to being a member of the Honors Board, Thomas is also a member of the student board for both politics and government department, as well as international studies department. In his free time, Thomas likes to sing in choir ensembles, play Jazz piano, and read fantasy novels. Anna is a senior International Business and Pre-Law major and French minor. She is from Pittsburgh, Pennsylvania and of course loves the Pittsburgh Pirates, Penguins, and Steelers. 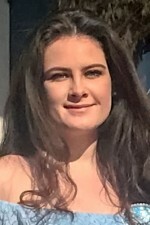 She is also on the field hockey team and is a member of the French Club, Athletes in Action, and Circle K. When she’s not at school, she always looks forward to spending time with her dog and going on hikes. Mahnoor is a Pre-Law and Psychology double major with a Film Studies minor from Lahore, Pakistan. She has been a board member since her freshman year and hopes to stay on until she graduates. She is also a member of Tree House and plans to pursue environmental law in the future. Landry is a Junior from Louisville, Ohio. She pursuing a double major of pre-medicine and neuroscience with a minor in Spanish. 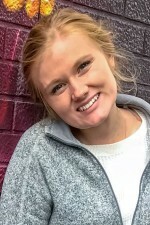 As well as being the member at large for the Honors Board, Landry is Vice President – Academic Excellence of Ohio Wesleyan’s chapter of Kappa Kappa Gamma and a certified EMT. She also works for the Columbus Initiative as an elementary school tutor at Linden STEM Academy and Columbus Bilingual Academy North. In her free time, Landry likes to take advantage of the volunteer opportunities through her job, spend time in the library, and watch scary movies. Greg is a double major in Finance Economics and Politics and Government from Cleveland, Ohio. He was named an Economics Management Fellow for the class of 2020 and now serves on the program’s board. In addition to the previously mentioned commitments, Greg also serves as a Senator to WCSA where he is a member of the Administrative Policy Committee and is currently a Portfolio Manager for the University’s Investment Club which oversees a $125,000 portfolio. Greg also sits on the Academic Policy Student-Faculty Committee and is an RA. In his free time, Greg enjoys trying to sleep in. Hallie is a Junior Neuroscience and Genetics double major and Chemistry minor from Allen Park, Michigan. In addition to the Honors Board, she is also a member of Neurds, secretary of Active Minds, and Vice President of Communication for Campus Programming Board (CPB). When she gets free time, she enjoys listening to music, running, watching TED talks, reading, and watching scary movies. 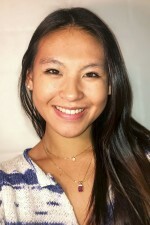 Angie is a Junior from Denver, Colorado pursuing a major in International Business. 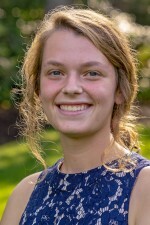 In addition to the Honors Board she is also on the Student Boards for the Economics Department, and participates on the Women’s Ultimate Frisbee team. She is the secretary of Investment Club and enjoys playing pool and poker with her floor mates. In her free time she looks forward to being outside and spending time with her dog. Karli is from Northeast Ohio and currently a Psychology Major. 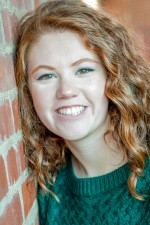 Along with being a member of the Honors Board, she is one of the Women’s Ultimate Frisbee Team captains, a member of Kappa Alpha Theta, and a member of the President’s Club. In her free time, she loves identifying trees, reading, and trying to figure out what else she wants to major in. 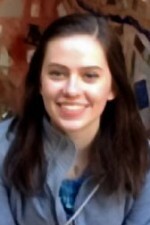 Paige Hunter is a Sophomore Spanish Major and Latin American Studies and Education Minor from Westerville, Ohio. 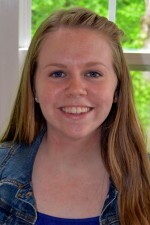 She is part of the Global Scholars Program, and is excited to study abroad at some point in her college career. In addition to the Honors Board, she is part of Circle K, the Delta Gamma Fraternity, and the Junior Panhellenic Council. During her free time Paige enjoys drinking coffee, listening to music and spending time with her friends. 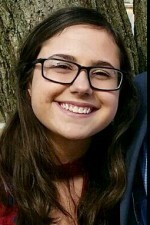 Anne is a second-year student from Bowling Green, Ohio pursuing a double major in Social Justice and Pre-Law. Anne plans to attend law school and practice civil rights law. Anne’s dream job is to work for the ACLU. In addition to the Honors Board, Anne is Vice President of the Pre-Law Club, President of Sisters United, Co-Captain of the Women’s Rugby Team, and an active member of Moot Court and Kappa Kappa Gamma sorority. In her free time, Anne enjoys playing with her dogs, drinking coffee, and spending time with friends.